Lake Superior, the north country, the great fresh-water expanse. Frigid. Lethal. Wildly beautiful. 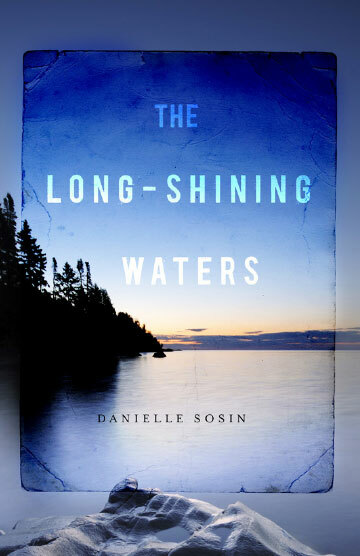 The Long-Shining Waters gives us three stories whose characters are separated by centuries and circumstance, yet connected across time by the place they inhabit. In 1622, Grey Rabbit—an Ojibwe woman, a mother and wife—struggles to understand a dream-life that has taken on fearful dimensions. As she and her family experience the abundance and hardship of living near the “big water,” her psyche and her world edge toward irreversible change. Berit and Gunnar, a Norwegian couple, fish the great lake in 1902. Berit, who is unable to conceive, finds the lake anchors her isolated life, yet those same waters ultimately test the limits of her endurance and spirit. And in 2000, Nora, a seasoned bar owner, abruptly loses her livelyhood. Left facing an open-ended future, she’s drawn into a reluctant road trip around the lake. These narratives unfold with the mesmerizing rhythm of waves, as a fourth mysterious character comes into relief. Haunting, rich in historical detail, and universal in its exploration of the human desire for meaning when faced with uncertainty, The Long-Shining Waters is an unforgettable and singular debut.